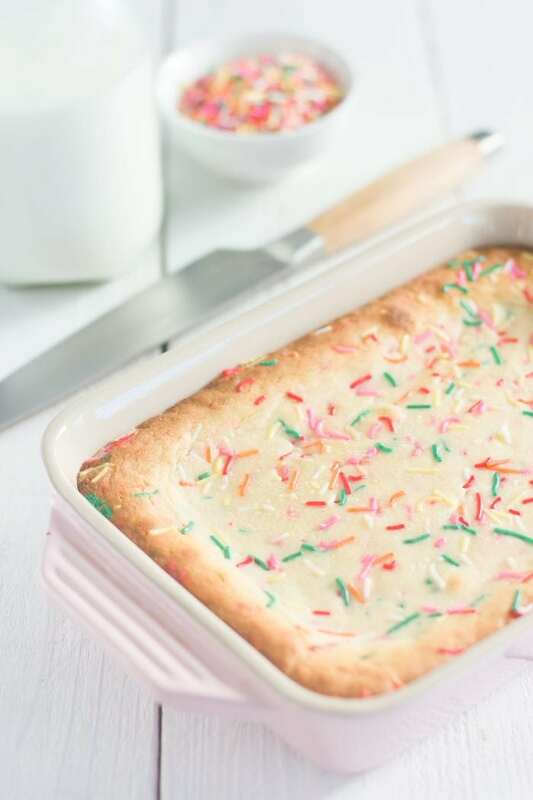 Calling all readers who are obsessed with brownies, sprinkles, and white chocolate! 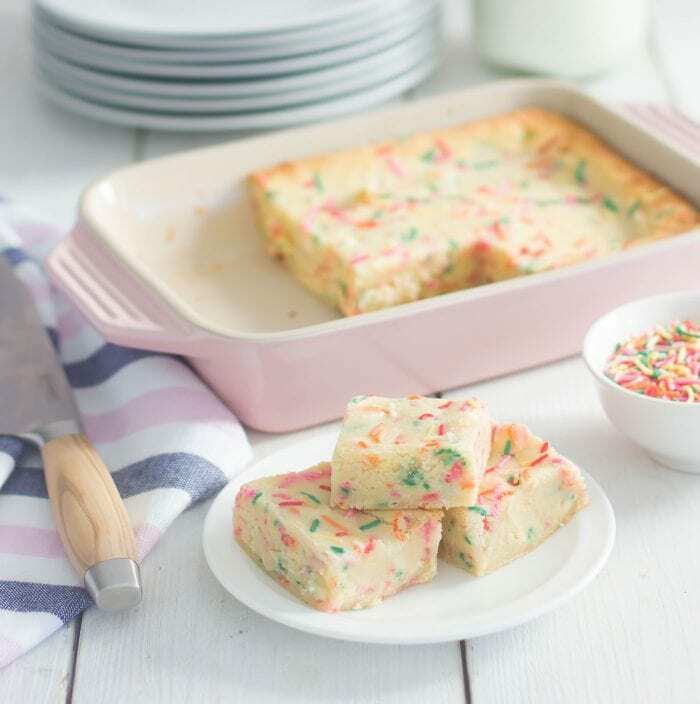 A couple weeks back, I gave my favorite brownie recipe a full on makeover with sprinkles and white chocolate. There has always been something so classic about brownies, but I was recently brainstorming fun ways to add a twist to that classic and THIS sprinkled idea immediately came to mind. There’s definitely a debate about whether or not white chocolate is actually chocolate. No matter which way you slice it or dice it, I am obsessed with it. I often prefer it over regular chocolate, especially in my mochas! ;) It has such a unique flavor that adds a little something different to classic chocolate recipes, and these are no exception! The day we photographed these they were flying off the counter! I may or may not have hid a few for myself for later. ;) They are soooooo good! As I’m sure you guys know by now, I also love anything with sprinkles! 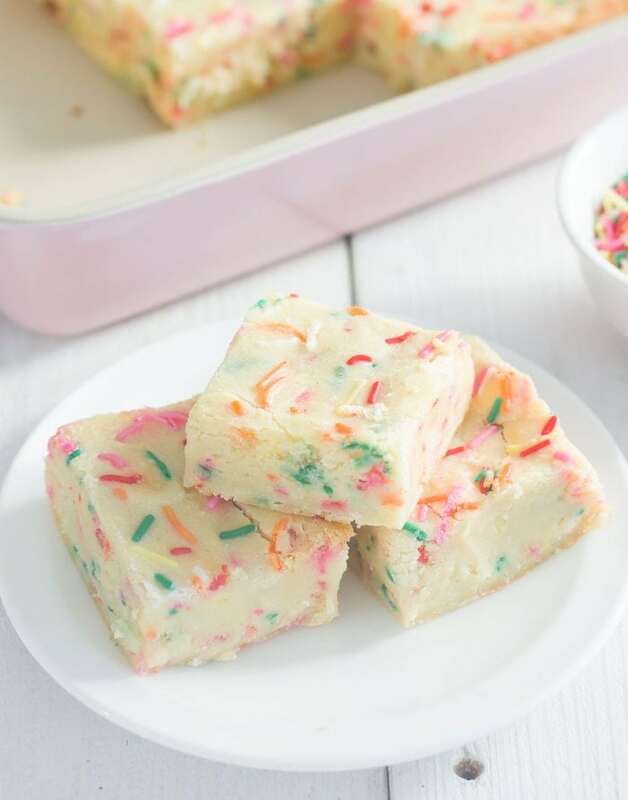 These were just asking to be turned into confetti brownies. ;) And these colorful sprinkles make the perfect finishing touch!! Because honestly, isn’t everything just a little bit better when it’s covered in sprinkles?? Preheat the oven to 350°F and line a 9×13 inch pan with parchment paper. Combine the butter and white chocolate chips and melt in the microwave 30 seconds at a time and mix until melted. Mix in sugar until combined, mix in eggs, vanilla, then flour, salt, and sprinkles. Spread mixture into pan, garnish the top with additional sprinkles and bake for 30 minutes. Tip: cover with aluminum foil 15 minutes in to baking to prevent over-browning on the edges of brownies. Insert a toothpick into the center of the brownies after 30 minutes. If it comes out clean, the brownies are done, if not cook additionally until done. Remove from oven and let cool. Cut and serve. I could use a plate of these right about now!